Bret Contreras: Hey Carlo, I’m guessing that many of my readers have never heard of you. Please introduce yourself and be sure to include your qualifications. Carlo Buzzichelli: Hi Bret, thank you for offering me this chance to introduce myself to your readers. I appreciate your work, I am glad to be read by people that share the same appreciation. 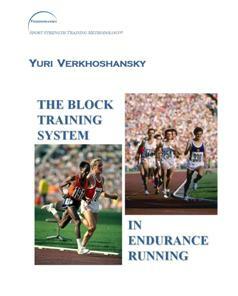 Some might have read my name in the acknowledgement page of the late Prof. Yuri Verkhoshansky’s latest book “Block Training System in Endurance Running,” or as the author of the article “Fix Your Periodization Knowledge” which appeared on a couple of websites (the readers can Google it). The article had a great feedback overall and appreciation by knowledgeable people like you, as well as Malden Ivanovic, James Smith, and Dan Pfaff. Over the last fourteen years, I have personally interacted with many sport scientists, strength training experts, and élite level coaches. Prof. Tudor Bompa and Olympic T&F coach Dan Pfaff (ex UT,UF) are probably the most influential. But the list of such people would include names that must be familiar to your readers, such as Ian king, Charles Poliquin, Mel Siff, Paul Chek and other authors that were upcoming in the late 90’s in North America. Furthermore, when foreign training experts come to Italy, I am often offered to do the technical translation of their seminars and lectures; which I take as an additional chance to learn. I speak four languages fluently. BC: What kind of athletes have you worked with over the years? CB: Since I started as S&C coach in 1997, I have worked with hundreds of athletes: élite T&F athletes (mostly in sprints, including two sub-10 sprinters), senior soccer teams from the 5th amateur league up to the 1st pro league, junior soccer teams at the provincial and regional level, female volleyball teams from the provincial to the 4th national league, national level sprint swimmers, cross country skiers, marathoners, martial artists and powerlifters. I was an accredited coach at the 2002 Commonwealth Games and 2003 T&F Worlds. In the last 9 years, my teams moved up one league (by either winning their championship or winning the play offs) seven times, won their league Cup three times and came second one time. My individual athletes won five medals at nationals and two international medals, including a World Cup gold. This last week I did a strength/speed consultation for a medalist at the Beijing Olympics in T&F. BC: What was your specific role in training all these athletes? CB: That’s a smart question that should be asked more often. In T&F sprinting I was the full time coach of my athletes, both on the track and in the gym. In soccer I was the full time S&C coach for all my teams up to the 3rd pro league, whereas in the 2nd and 1st pro league I was either a consultant or a strength coach. In volleyball I was a S&C coach, while I was the strength coach for most of the remaining sports. I want to stress that I spent a LOT of time on the field or on the track, under a burning sun, the rain and, sometimes, in the snow; I did not merely walk thru a gym and declare myself the S&C of someone. For instance, for four years, from the 15th of July to the 15th of September, I had only two days off total, because I was following the preparations of three different teams with different starting dates at three different scheduled training times of the day; plus the individual athletes (which were then quite reduced in number). By following so many teams and athletes simultaneously, the process of theoretical and methodological evolution was greatly enhanced. In the end what makes a good coach is not only how much he knows, but how much he applies, gets feedback from and is able to analyze and modify for the better. The internet proclaimed “experts” coaches that work with very few athletes, for a very limited time and with quite limited knowledge, this actually makes them far from being S&C experts. Sometime I read statements in articles or books by such experts that might catch the attention of the occasional strength enthusiast, but sound quite misguided to somebody that actually knows S&C. BC: How hard or easy is it to implement your program with such a diverse athletic population? CB: I must say that the level of training knowledge or more widely saying “training culture” varies a lot among the different sports. For instance, T&F and volleyball have a way higher training culture than, for instance, soccer; at least in Italy. 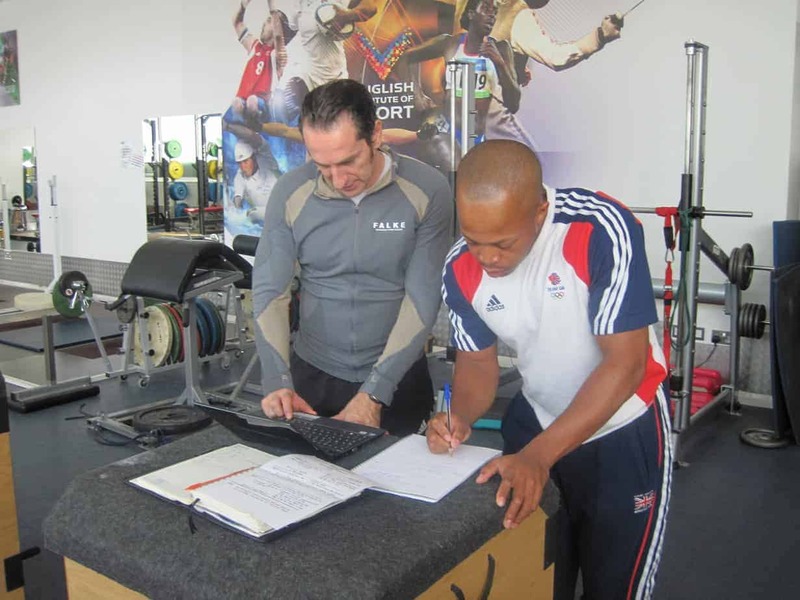 So that influences how hard or easy it is for the S&C coach to implement his program and interact with the technical coach and the team or the athletes themselves.I was lucky to be successful from the start in team sport settings; which allowed me to implement my program without problems- without opposition from the technical coaches. But that is a problem that is wide spread in team sports S&C: the final word of the technical coach. I feel sorry for the colleagues that have to face such frustration, because I experienced that, too, for half a season.On the other hand, one season I was lucky enough to work with one of my students as S&C coach for a volleyball team he was coaching technically. Not only I was able to fully implement my program, but I could discuss it with him and also eliminate some things that were done more based on tradition than science; a thing that normally you would have a very hard time doing.As a plus, he was a PNL Master, so after we both would talk to the team, once in the locker room, he would tell me which communications errors I had done, so I learnt a great deal in that aspect as well. The team won the championship losing two games total in the whole series. BC: How important is the role of the S&C program in team sports? CB: We have to keep in mind, that in team sports the technical value of the players dominates; if you have great players your team is likely to win the league, if your team has a great S&C program but your players are not up to par technically, you will not win the league. Simple. The lucky part was that I primarily, though not always, worked with teams that were strong technically compared to the average team in their league. That characteristic also has an influence on the way the physical preparation is planned, set, and brought forward. This is something that I teach in my courses for the Tudor Bompa Institute or the Cuban university. So, if we can’t really take full credit for the victories, we, as S&C coaches, are left with physical performance data and injury record. A semi-pro soccer team I coached played 52 games in 11 months, finished 2nd during the regular season, 2nd in the play-offs and 2nd in the national Cup. What’s impressive was that we were rookies in the league with a limited roster. Almost all the players could do 400kg leg press for 3 reps (we did not have squat racks), sets of 6 jumps over 4’ hurdles and 18.5 or better in the Yo-Yo Recovery test. We had a total of four muscular injuries in 11 months; which is probably less than 20% of the average injuries seen in a 1st pro league team. We didn’t do any core stability (not that I would not do it now), proprioception drills on unstable surfaces (which I will NOT do), or many of the “functional” exercises new coaches are lead to believe to be necessary in the training. Consider the fact that a team which is the runner up in the semi-pro soccer Italian Cup probably plays equally well or better than some teams in the pro league in the US.Nevertheless, in some team sports the physical preparation aspect is more influential than in others, volleyball, for instance, is one of those sports. BC: Do you believe that most American coaches have an adequate grip on energy system training? If not, what are some things we need to understand? CB: I think it is hard to define what is going on in our field in the US, because the majority of coaches are either working in the traditional way for their sports or over-reacting to the trends; throwing the baby out with the bathwater. Anyway, I have the feeling that most American coaches lack in the department of metabolic and power training. First, if you are not using heart rate monitors and a force platform, you can’t individualize the load for each athlete, neither for the metabolic work, nor for the power work. It’s like having a barbell loaded with 200lbs and having the whole team squat with the same weight. The heart rate monitors I have used in the team sport setting go from $ 30 to $ 2500 (heart rate monitor with tri-axial GPS accelerometer in telemetry). The heart rate monitor that records the cardiac activity during the whole session and whose data can be downloaded to your PC, costs around $ 300. These would make you a better S&C coach, as they will teach you how your athletes’ bodies react to your workouts. It also enables you to use more specific metabolic drills (like small sided games, for example) to replace the runs around the field; when the time for such change comes. A heart rate monitor also helps individualize intensities and recovery time; obviously- same thing for the force platform. It helps you individualize the load/reps for jump squats, the height for drop jumps, and helps you monitor the progress of power of your athletes, especially relative power (W/Lbs) which is a very good indicator of the performance readiness. A device that gives you the force-time curve (we have one of such portable device in Italy) would also help determine the nervous system readiness, thru the intermuscular coordination alteration.Another important aspect to be taken into account is that the coaches and the “experts” need to realize the difference between “wishful thinking” and what we call in Italy “performance model”; that is what you call “needs analysis”. 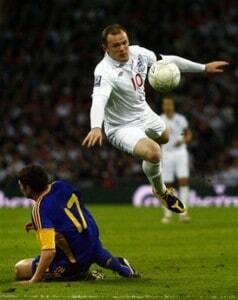 When an expert suggests more lactic work for soccer, which goes from aerobic to anaerobic alactic and back, and seldomly anaerobic lactic, it means he believes the answer is the intensity, whereas the answer is actually in performance analysis and modeling (for the same reason, power endurance, that physiologically is lactic power, is not the specific strength for soccer). Same thing when another expert suggests 1400m volume of tempo runs or 15 minutes of continuous running intervals at a 1:3 ratio for team sport athletes, for instance, how a soccer midfielder, who runs 10.000m in a 90 minutes game, is supposed to get conditioned by that is beyond my understanding. I have my semi-pro and pro soccer players do 40 minutes of such interval training the first day of the preparation, they do 2000m of tempo runs on the easy days. I use pyramids for aerobic conditioning whereas the change of direction side is addressed specifically, as they begin to use the ball from day one, mostly for tactical work. The latter is not my choice; it’s just the way soccer is. To give you an idea, Serie A soccer players (Italy 1st pro league) run between 10.000m and 15.000m a day during preparation, if we add general and specific work (by using the GPS accelerometer). Personally, I individualize the work according to the individual’s Maximum Aerobic Velocity (intensity) and position (volume). In S&C, needs analysis and individualization (should) rule.To give you another real world example of how things should be adjusted in S&C, last week I spoke to the Technical Director of the Cuban Weightlifting Federation. He told me that they don’t let the athletes increase their max in the squat as they wish. He gave me the example of an athlete who could squat 330kg but whose C&J correlated to a 280Kg squat according to their tables of correlation. The percentages of work would then be calculated on 280Kg and not 330Kg. Doing this way they had far less squat related injuries and a better progression of the competitive lifts. The take home lesson is that to maximize strength, sometime we lose view of more important parameters, I mean, not even weightlifters want to maximize it, should it be your priority for team sport players and sprinters? Often.. but not always. On a different note, I have seen some videos on YouTube by a “power expert”, he was showing a whole set of exercises yet he was lacking plyometric landing technique: the basics. Also, the “brief transition” between eccentric and concentric, is the American idea of plyometrics; not to be confused with Shock training. I attended Verkhoshansky’s lecture at the regional Olympic committee symposium in Italy, back in 2002, and he stressed the fact that the amortization should be almost controlled, in order for the muscule tendon unit to load the elastic energy and recoil; because the most important part was the utilization of the elastic energy and the effort to jump as high as possible (using the myotatic stretch reflex). Verkhoshansky’s idea was not focused on the transition per se, rather on the jump. The amortization had to be “harmonious”, almost. To corroborate this point I quote Prof. Verkhoshansky’s book “Everything on the Shock Training Method” (not translated into English): “the fundamental element of the depth jump is, certainly, the vertical push that must be elastic and very forceful, but must not overload excessively muscles and joints […] A correct execution of all the movements entailed in the drop has a paramount importance […] for the subsequent vertical push”. BC: Powerlifting training is very trendy among American S&C coaches, what is your take on this matter? CB: First, as you noticed in one of my posts on your Facebook, to me powerlifting is what’s being done by federations such as the IPF, AAU, NASA, U.S.A.P.L, Iron Boy Powerlifting and the ADFPF. I respect the athletes of the other federations because all sport efforts deserve respect, but I just say that their numbers do not mean much to me. I love powerlifting, I use it cyclically during the year, as well as in 100m training, to keep the interest in what I study up.I would like to explain that what “speed” training in powerlifting programs really is.. is technique training (less alluring, huh?). So you can see a bunch of people posting the videos of their DE day on YT, focusing on speed and totally lacking in technique, defeating the purpose of the session. Now, let’s see if I can spark your interest in the DE day again, given the fact that it is not really the RFD aspect that has a carryover to your max efforts, rather the technical aspect, which has its roots in the neuromuscular aspect nevertheless. We have a few great minds in Italian powerlifting that have studied the winning Russian methods in powerlifting, namely Sheiko’s programs (you can download a large file on Sheiko’s philosophy here: http://www.elitefts.com/sheiko/BI_Sheiko_Online_Translation.pdf). What is the point of lifting explosively loads that most of the time range between 50% and 60% (Westside) or 70% and 80% (Sheiko)? Sheiko’s answer is “zkstrapolyatsiya” which means “extrapolation”. I quote and adjust the translation from the file above: “Extrapolation is the ability of the nervous system, on the base of the existing experience, to adequately solve newly appearing problems. Therefore the organism of the athlete masters the specific technique with different weights, and acquires the ability to correctly carry out exercise with significantly higher weight”. What did we learn from this? First, if we have a long enough preparation and we need to increase the maximal strength expressed in an exercise, we don’t really need to focus on the percentages of 85% of 1RM and above; second, the sticking point is not, usually, due to muscular imbalances, as we used to think and therefore address the matter, rather it is a lack of intermuscular coordination. As a matter of fact, Sheiko’s programs, which are quite specialized on the competitive lifts, eliminate previously existing sticking points on the basis of the “extrapolation” concept rather than special work on supposed “weak links”. But, are the sticking points always determined by the lack of intermuscular coordination? I would say that if the technique of the lift shows what I call a “biomechanical diversion”, a change of technical motor pattern that slows down the lift, such as the adduction and internal rotation of a hip during the squat, then we should look for a muscular imbalance, in the absence of such biomechanical diversion, we should address the intermuscular coordination aspect (usually by decreasing the load and sticking to technique). So, if you want to be really strong in your squat, bench and deadlift, stop going to failure as some gurus suggest or using percentages of 90% and above like some others do (if you are able to do 6×3@90%, you either have very low neuromuscular efficiency, or your strength and recovery are artificially enhanced), rather always use strict technique, lift explosively, and avoid the loads that make the sticking point appear. It’s been proven by eastern European powerlifters (the strongest in the IPF federation, the largest and not so geared federation in the world) that mostly explosively lifting loads between 70 and 80% of 1RM (what’s called “Zone 3” in Soviet literature or “Zone 4” in Sheiko’s own scale) with perfect technique and no sticking point gives the highest transfer for 1RM loads improvement, especially in the medium and long term. I took a longer path to indicate the difference between powerlifting and strength training for sport. Powerlifting is a sport by itself, where the athletes specialize in the three competitive lifts. In sport physical preparation we are forced to use higher intensities on average due to shorter periods to be devoted to maximum strength development and we pay more attention to all planes of movement by using several accessory exercises. I am not saying that a powerlifter should not take care of his rotary strength, for instance, but in most sports it is actually a paramount quality to train. By using short periods with higher intensities as we normally do in sport, we usually just capitalized on more transient functional (i.e. neural) adaptations. With individual sports, we have the luxury to use longer MxS phases with a higher weekly frequency: at least 8 weeks (two 2+2 macros), 12 weeks being even better, training 3-4 times a week. The longer periods are necessary for structural changes (specialization of myoproteins) to happen and stabilize the functional gains that happen during the process and more rapidly so at the beginning of the phase (that’s the point of the study by Moritani T and deVries HA, Neural factors versus hypertrophy in the time course of muscle strength gain, American Journal of Physical Medicine 58(3):115-130, 1979). On the other hand, Prof. Tudor Bompa writes that testosterone levels start to decrease if the maximum strength phase is kept for more than 9 weeks, according to his personal communication with Prof. Häkkinen (probably based on the study Neuromuscular and hormonal adaptations in athletes to strength training in two years, Journal of Applied Physiology 65(6): 2406-2412, 1988). I assume that such testosterone lowering effect of longer maximum strength phases is due exactly to the high average intensities used and the not long enough recovery periods within the whole phases (testosterone levels restoration after a highly intensive training macrocycles has been shown to need 2 to 3 weeks, with strength performance starting to increase after 7 days). For this reason I use 2+2 maximum strength macrocycles for individual sports in which I test the 1RM, which can also be viewed as 2+1 followed by a regeneration week after the maximum strength 1RM tests. This macrocycle setting allows a much better recovery after 1RM testing with athletes who have a good neuromuscular efficiency for the nervous system, the endocrine system and the tendons. In team sport settings I usually don’t test the 1RM, I use mostly 2+1 macrocycles and progress the load steadily. BC: What about speed training? CB: Many American experts have a monkey see, monkey do attitude when it comes to speed training: take the Weyland study, it was the study they were all waiting for: “no matter what happens in the air, it’s the force you apply to the ground that matters”, so then all the S&C coaches that were not keen on sprinting technique could stick to the gym work and think everything would fall into its place. But it just doesn’t work like that. There are not only “pretty runners” that need to be stronger, there are also strong runners that need to be more technical. For instance, I just consulted for an Olympic medalist who has a shot a setting the world record in the decathlon in the coming years, who is quite slow in the 100m. With his coach we decided to increase the emphasis on the posterior chain in the gym (as he can half squat 4 times his BW but deadlifts only 2 times his BW), but technically his block setting, start position, clearance posture and acceleration mechanics were all flawed, so fixing those will certainly have a bigger impact in his overall performance than the adjustments we did to his strength program. I am not amazed anymore to see such flaws at the élite level; in fact, at every Olympics there are two or three athletes from third world countries with the potential to be major players in the world scene if they had access to several professional figures in their preparation, such as a soft tissue therapist, a strength coach, a nutritionist and a biomechanist. I have seen different yet similar flaws in élite team sports. 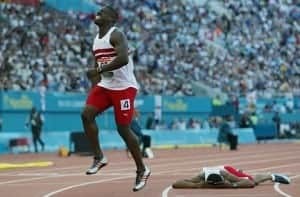 So people wonder why some athletes or teams manage to stay on top for a long time, in my opinion the answer lays in the fact that they realized the value of having a team of experts work for them (I have seen that in T&F and soccer, for instance), while the rest of their opponents did not. I read a book by one of the US S&C gurus, where the author wrote that blocks help the acceleration; this is also a common misconception among those that never trained somebody that uses blocks. 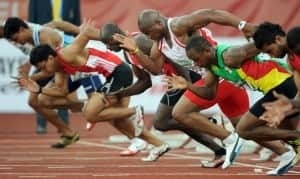 Starting blocks are just a way to standardize the start, you are “lucky” if you run the same time using the blocks as you do with a standing start. The same author also did the wrong math to calculate 10% of the time necessary to cover 20yds. That is a calculation with which a S&C coach should be very familiar. BC: Any thoughts on strength training for endurance sports? CB: A few years ago I wrote the strength training plan for an amateur cross country skier preparing for the Vasaloppet, one of the most important cross country ski competitions, held in Sweden. According to the literature you would go from using sets to using circuits in the annual periodization of strength. Circuits increase the cardiovascular load, so they are normally used for aerobic sports or wherever the target of a program is the increase of strength and fitness, with a slight emphasis on the latter. Now, a peculiar characteristic of long endurance sports is that 90% of the annual training time is spent doing the specific activity, i.e. most of the time marathoners run, cross country skiers ski, cyclists cycle, 1500m swimmers swim and so on – and those that don’t have access to sport specific conditions do other long endurance activities. using long sets separated by short recoveries. For this reason the plan went from circuits to sets, progressing the TUT per set of each exercise. The guy equaled his PB done five years earlier, despite worse meteorological conditions. I have used that plan as a template for my own long distance runners since then. BC: Thank you very much Carlo! I appreciate your time and energy. What projects are you working on? CB: I just finished writing a book that will serve as the manual for the “Periodization Planning Specialist” certification of the Tudor Bompa Institute. It will be published in English, Spanish and Italian. In my book, which is based on Bompa’s “Periodization: Theory and Methodology of Training” – that I consider a masterpiece – I reduced some training planning and programming concepts to their basic methodological components and expanded some other concepts with updated research and practical tweaks. I think it is very important for a coach to manage the principles and be able to apply them to the complex environment of the real world S&C, instead of using a cookie-cut approach. The sport results of my students, be them coaches or athletes, confirm the validity of such approach. On top of that, in the next five months, I will give lectures and courses on planning and programming of training in Denmark, Mexico and Brasil, mostly in university settings. Your readers wishing to contact me can do so by writing to my email: cb@tbi-i.com. Carlo Buzzichelli, Director of the International Strength & Conditioning Institute. “International Workshop on Strength & Conditioning”, 24th-26th May 2012, Trivandrum (India): The Abstracts.Periodization Is NOT an “Outdated” or “Stupid” Concept. You’re Doing It Whether You Know It or Not!